Here are some frequently asked question about our products. Before contacting us, you can check if your question has been answered. How long until I run out of Bio Chelat? The Bio-Chelat will last for 1 1/2 months. Are the Body Care and Bio-Chelat the same product? I currently use medication for high blood pressure and diabetes. Can I still use Bio-Chelat? I think I’m experiencing side effects from using Bio-Chelat, what should I do? This rarely happens. If you are convinced this is the case, stop using Bio-Chelat for a few days. Start again, using one drop per day and increase your intake each day by one drop. Is Bio-Chelat able to reduce aluminium and does it cross the blood/brain barrier? Yes, Bio-Chelat can bind with this metal and eliminate it. First, seek out where your intoxication is coming from and get rid of your aluminium pots and pans. We recommend Bio-Chelat – a bottle will last 21/2 to 3 months. Then pause for two weeks, take the Test again and continue with Bio-Chelat until you’ve completely eliminated the aluminium. I was in contact with heavy metals in my work and I have an acute intoxication. Is Bio-Chelat recommended? Bio-Chelat is not suitable for the care of acute mercury toxicity or very high new toxic ion loads. It has its greatest value as a middle and long-term therapy for sub-acute or chronic heavy-metal toxicity. How long should I take the Bio-Chelat? It depends of the intoxification level. The therapeutic goal of the elimination of heavy metals cannot be achieved in a short period of time because these are either deposited in, or bound to various organs. It is appropriate to take 3 bottles of Bio-Chelat and take a break during 2-3 months and run the test again to see if there still is presence of heavy metals.But it may take longer, the process is different for each person. Some people notice a difference in their symptoms rapidly and others don’t. You can follow your progression by taking the Screen Test again, but detoxifying requires patience, because the process can take more than a year. Which supplement it is recommended to take during the chelation? We recommend at least to take a B complex mineral supplement, plus a daily zinc supplement. When the bottle is opened, how long can the liquid stays effective if it is stored in the refrigerator? 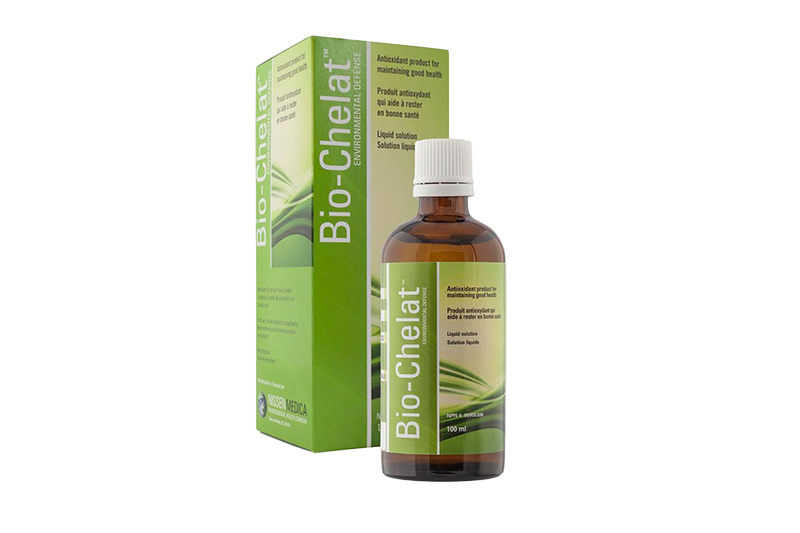 As soon as you buy the Bio-Chelat, you should start the chelation. Refrigerate after opening and use within 1/12 months. It is important to take the recommended dose daily, 2-3 times a day, if you want to have benefits. I used the Total Care and compared the band/ring and the result was yellow, what do I do next? First of all, verify the expiration date, because the screen test might be expired. 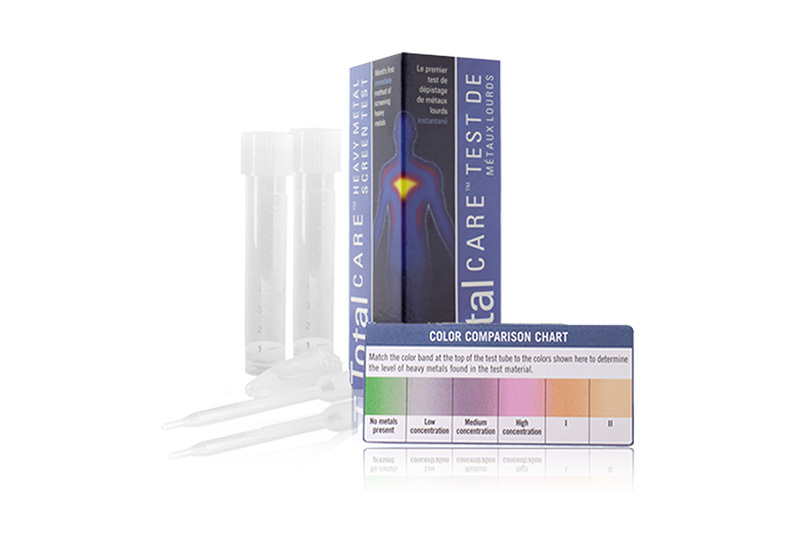 If it is not the case, it is due to high oxidation of the urine, do the test again but add 1ml water to 1ml urine. The result must then be multiple by 2. If it is pale pink the result is in fact dark pink. I bought a screen test few months ago and I don’t know if it is still good? It’s important to pay attention to the expiry date when you purchase your Screen Test – it is sensitive to light and heat, so it deteriorates over time. This is why we recommend taking the Test immediately after purchase. You can verify whether or not it’s still good when you mix the Test solution and the test-paper – the mix should be green, otherwise it has expired. Should I stop my supplements before I do the test? Vit. C, iron, zinc, copper and other mineral supplements should not be taken 24- 36 hours before the speciment of urine is collected. I recommend also to avoid fish and all sea foods. Can I buy your product if I live outside Canada and the Us? Absolutely! However, you need to contact us for us to prepare your order depending on your location. Which products and I buy online? If you reside outside Canada and the U.S, you cannot purchase our product online. You need to contact us by filling a quick form and we will send you details about shipping fees and prepare your order. Click here to fill a request. 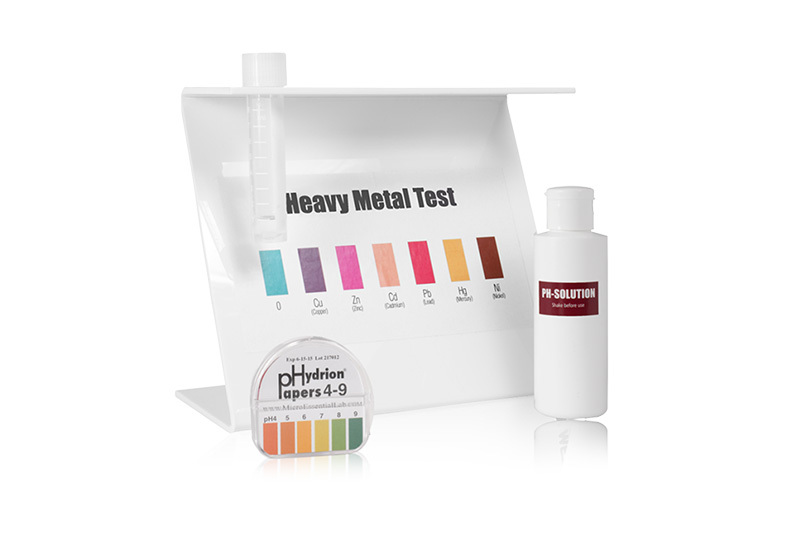 Can I buy the Professional Heavy Metal Screen Test Kit online? No. No matter where you live, You need contact us and fill a quick form for us to send you a quote for your personalized order. Click here to fill a request.